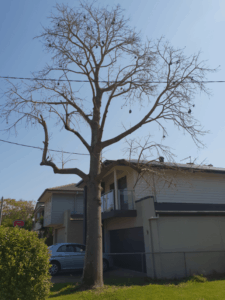 We’re asked on a daily basis how much it costs to remove a tree in Brisbane. Pricing can vary immensely but based on over 5000 tree removals over a 10 year period, the average price to remove a tree in Brisbane was $937.50 Inc GST. 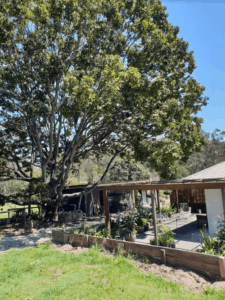 Trees obviously come in all sorts of shapes and sizes and therefore there is an enormous variation in costs with the cheapest tree removal being only $45 Inc GST and the most expensive tree we removed was an enormous Camphor Laurel in Kenmore for $22 500 Inc GST. Read on for a clearer indication of likely pricing for tree removal and tree lopping / tree pruning in Brisbane. The prices have been based on a job located approximately 20Km’s and 30 minutes drive from our depot in North Brisbane. A large percentage of the costs are associated with travel and admin. We should also point out that we are a team, not a solo operator. We’ve also got $10 million public liability insurance. We have a Qualified Consulting Arborist in our team for added expertise. And we’re just generally better! Compare us with the rest and see for yourself. And check out the great feedback received from our Happy Customers. Small tree removal in Chapel Hill, 5 metres tall and weighing approximately 150Kg’s and able to be dismantled without climbing. Medium tree removal in Paddington, 9 metres tall and weighing approximately 1250Kg’s. This tree would need to be climbed to dismantle safely. Large tree removal in Brookfield, 19m’s tall and weighing approximately 12 tonne. This tree was removed by a 5 man crew and with the aid of our 3 tonne loader and 22 metre crane. 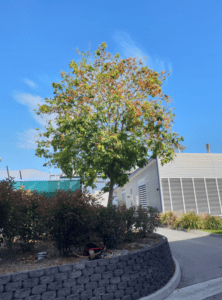 We hope that the above examples will give you a really good idea of about what it will cost to remove a tree in Brisbane and also the price for pruning or lopping a tree in Brisbane. If you have a tree that you would like pricing for, please call our office now and our Business Owner and Level 5 (Diploma) Qualified Consulting Arborist will provide you with a FREE QUOTE.